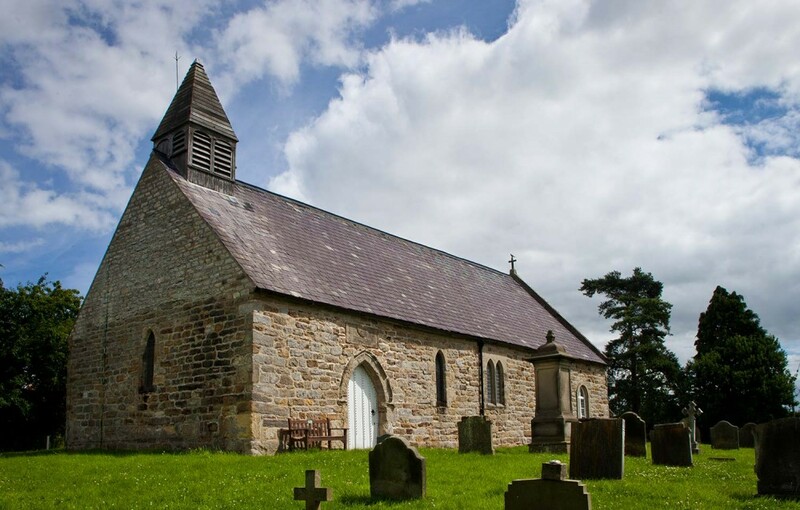 The Church of St Michael and All Angels' lies in the tiny hamlet of Great Edstone, two miles to the south of Kirkbymoorside. Great Edstone stands two hundred feet above the Vale of Pickering, on an oval mound of earth created by retreating glaciers from about 30,000BC, and today there are fine views of the surrounding countryside from the churchyard. Originally of Saxon origin, the church was rebuilt in the 13th century, with later additions during the 18th and 19th centuries. The font is Norman with a fine carved oak lid, crafted locally by Dennis Mayes, a former Church Warden.